5つ星のうち5.0This Album Truly is Uncommonly Nasty!! I can't believe that this CD doesn't have any reviews!! as a matter of fact, this is the greatest mix-CD Ever!! i never get tired of any of the tracks!! favorites!!! Cop it NOW SON!!! Not worth it. 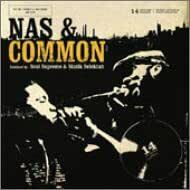 As a huge Nas fan, I bought this CD. I rarely listen to it. Almost all of the NAS verses are just remixes of his songs of his own CD's. Common is lousy. I would rather listen to any other Nas, AZ, Cormega, or Nature CD. I wish someone wouldve convinced me to not buy this and save me $25.